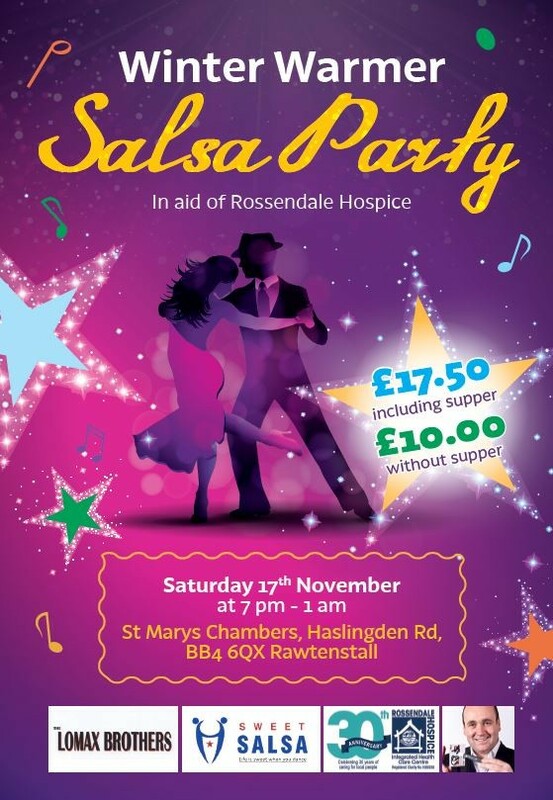 Enjoy a magical master class of Salsa dancing by Sweet Salsa followed by music from the Lomax Brothers. Tickets including supper cost £17.50 or without supper £10. 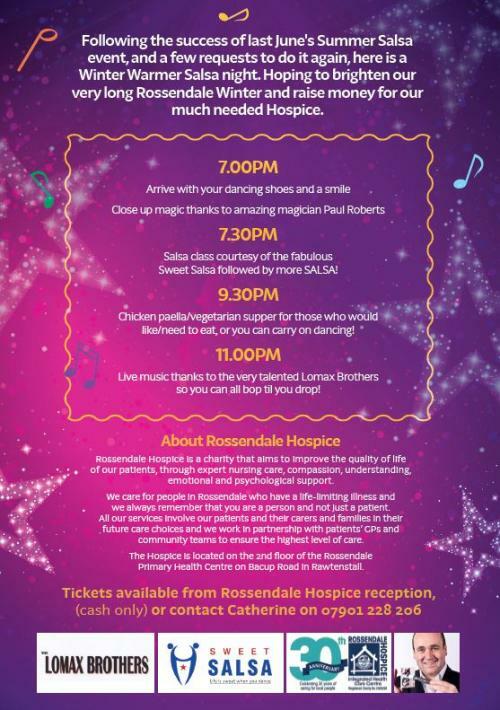 Tickets are available from the Hospice Reception (cash only) or contact Catherine on 07901 228206.